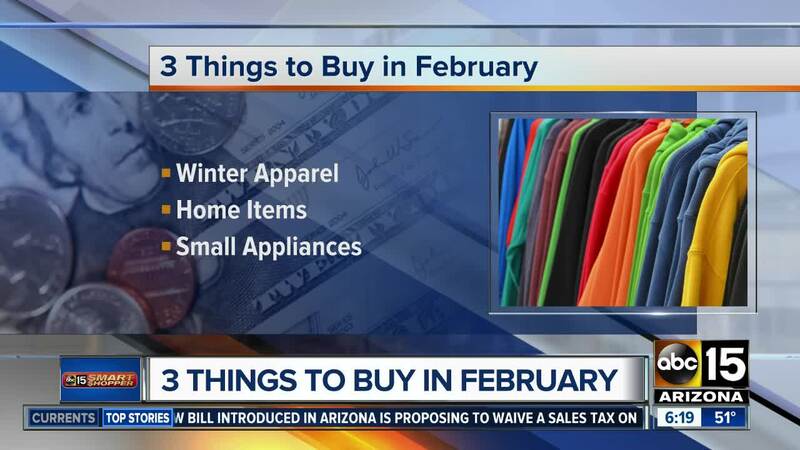 What you can score the best deals on in February, and what to avoid purchasing. Super Bowl, Presidents Day, Valentine’s Day -- here are so many celebrations happening this month! So where are the deals? They are all over the place if you're shopping at the right time and, of course, I did the hard work for you. Winter apparel -- So retailers can make room for spring. It's also a good time to buy home items like furniture, and mattresses, with sales up to 70 percent off. Expect deals on vacuum cleaners as well. And small appliances are also on the list. I found things like slow cookers and blenders for under $10 on Amazon. And just like most holidays, you'll find the best prices on traditional Valentine’s Day gifts starting February 15th. With the Super Bowl coming up, many people want TV’s to watch the game. Although November was the best time to find the lowest prices, you can still find some really good deals right now. Luggage, new smart phones and flowers.